We are in 1980. 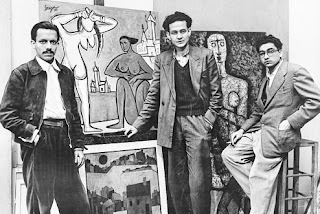 The Bindu comes two score years after Syed Haider Raza’s joining the Nagpur School of Art with an aspiration to strengthen the artist in him. The period that precedes it is an exile; it reminds one of Jesus’ fasting for forty days and nights in the Judaean Desert — an alien terrain — constantly encountering Satan’s temptation to make him depart from God’s will. Since his first solo exhibition in 1946 till the moment he reached his mid-point, he was torn between his inner call and his outer circumstances. His life in France, which started with him going to school at the École nationale supérieure des Beaux-Arts in 1950, tantalized him with fatally dazzling images of exteriority. Thus enamored by the splendid countryside of rural France, he gave in and captured its beauties: the rolling landscape, the charming village architecture, the church, the inky sky. But then there was already restlessness creeping in — his brushstrokes and heavy application of paint showed it. His canvases from those days were already telling us of his slow movement into the 1970’s abstractions. 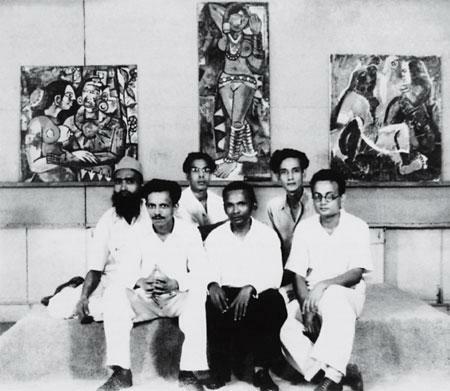 (A newspaper clipping of the Bombay Progressive Artist's Group, 1948. Front row, from left: F.N. Souza, K.H. Ara, H.A. Gade. But happiness was still farther away. His unrest kept taking him back to 1947, which beckoned him to look within himself. It was the year he lost his mother. It was the time of separation from his siblings who chose Pakistan over India. 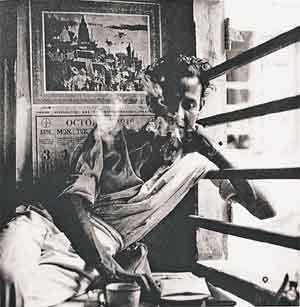 It was the year he co-founded the Bombay Progressive Artists’ Group along with K. H. Ara and F.N. Souza, with an original inspiration to break free from the influences of European realism and get closer to an Indian artistic inner vision. It was India’s tryst with destiny. Finally, in 1980 he found his profound connect with that early vision; he saw that the spirit of Indian art was rooted in Indian ethnography. That was the point of SH Raza’s emergence into the artistic heartland of India as a striking bindu, a shining star. It was a revelation that took Raza’s work as an artist into its master’s future, but we also see this point as his forever connect with his past, as well. One of the reasons SH Raza attributed to the origin of this work dates back to his elementary school days: the boy’s teacher drew a dot on the blackboard and asked him to focus on it, in order to correct his lack of concentration. 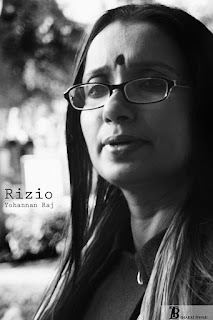 Rizio Yohannan Raj is the Founder and Executive Director of LILA Foundation for Translocal Initiatives, a renowned cultural think-tank, She is the Creative Director of ILF Samanvay (IHC Indian Languages Festival). 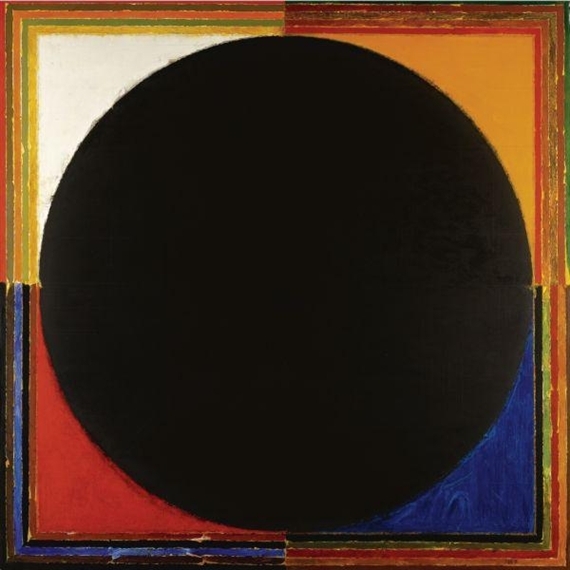 SH Raza’s work into his inner self began with The Bindu. And ever since that hour of churning, he incessantly geometrized. His creations survive him, reminding one of Plato’s terrific insight: God forever geometrises. Today SH Raza seems to have gone from our midst, but he remains: A complete life. A poornam which is not reduced even if a poornam is taken out of it. A timeless bindu, ever ready to grow into a full circle. A seed of thought and care, which is also an eternally potential open space for conversations and collaborations. 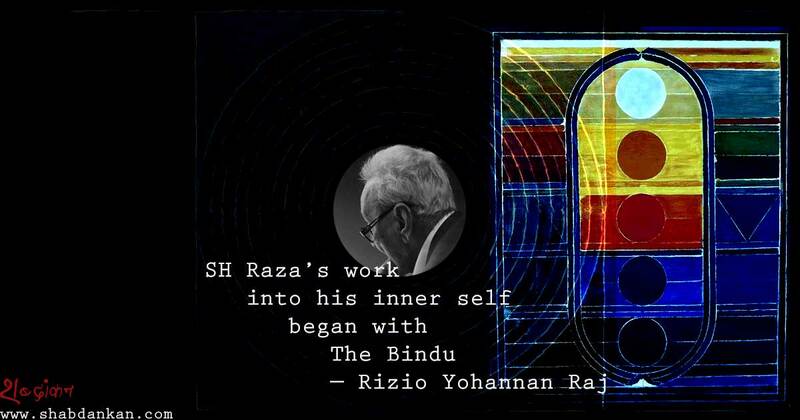 Time has made ILF Samanvay too a legatee of SH Raza’s ideal of experiencing fullness by sharing. And, we shall continue to follow the path illumined by your spot of light.